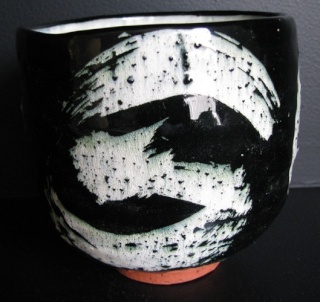 Elena has been winning heaps of awards in the last few years with her shino glazed tea bowls and containers. Oh no her mark came out blurry - I will have to take another shot of it! Any chance of a pic Tim? I think I got that piece 3 or maybe 4 years ago. Her work has developed during those years so she may have a new mark. though Tim's one matches one of the marks for Elena in the Potters Marks book. Here is a link to her site - a pity that she doesn't show her marks though. 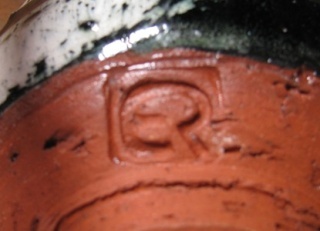 Recent work showing current mark. Purchased new from Collect in Crummer Road. 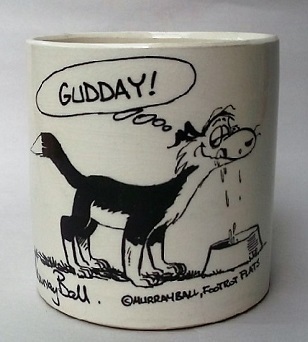 I had thought from the website, which appears not to have been updated since 2011, and her etsy store, which is empty, that Elena was not producing, but I was advised by Collect when I was there end of last month that she had been in recently with a new batch of mugs. 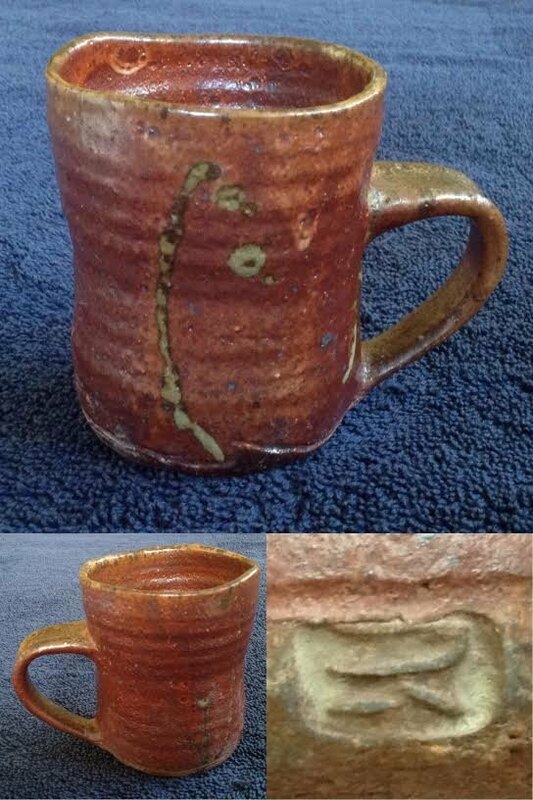 This particular mug may have been on Collect's website earlier than that. It was pure coincidence that when I selected from a full shelf that I chose one of only two on the site: pattern, size, shape, and handle all worked for me. I have a recent tea bowl that I must check the mark on too. I will add your photo to the Gallery thanks Jeremy. 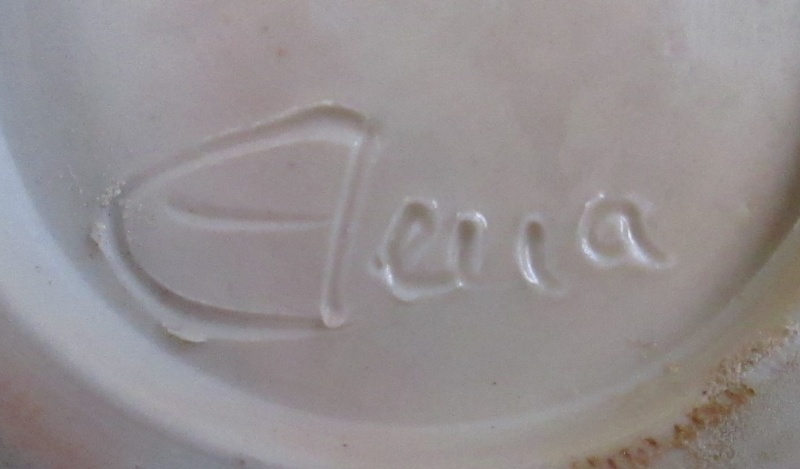 Burning Issues has three pieces by Elena, including what could be a tea bowl, but I was out cycling today when I visited the shop and didn't have my specs so I couldn't see what sort of mark they had, if any. Gosh that looks like it has been salt glazed from here Kat ..... ? 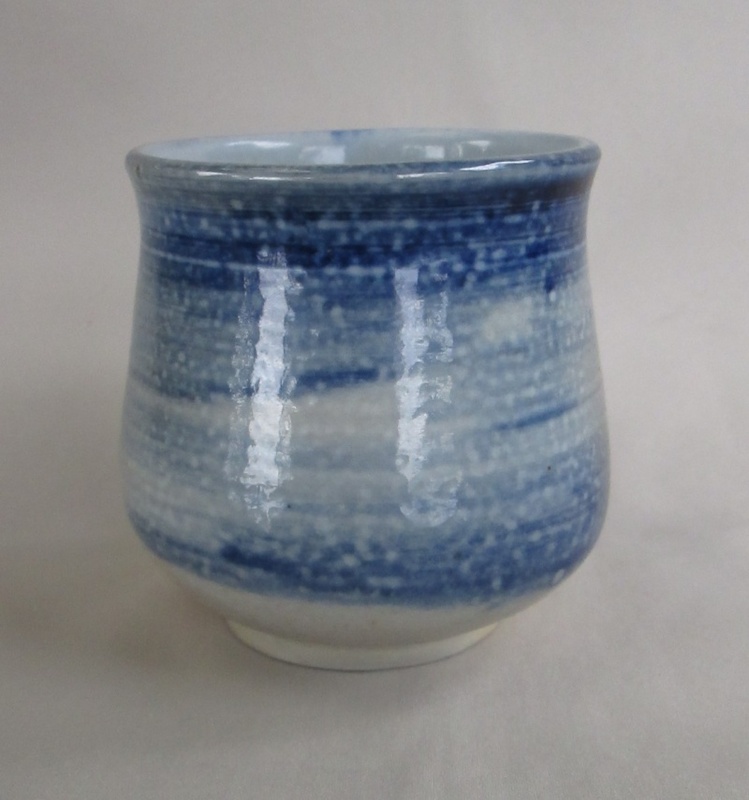 Edit: a potter friend says its woodfired but that its possibly not salt glaze just a reaction by the cobalt blue in the glaze Kiln.